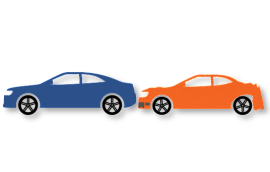 FREE BLOCKED DRIVEWAY TOWING – If a vehicle is blocking your driveway you can call 311 to send the police to your location to summons the vehicle. Once the car have a ticket you can call Hook & Go Towing service to have the vehicle remove. We are open 24 hour seven days a week. The service of removing a blocked driveway is free of charge to owners or renters of property. 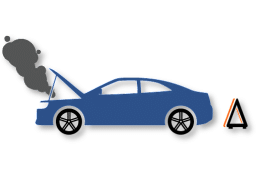 Whether it be a blocked driveway, a dead battery, lockout, a flat tire, jump start for local service we can help you or if you want to take your vehicle any where of the United State, Our Brooklyn Towing Company will be there for your needs. What if you locked your keys in your vehicle? Our Brooklyn Towing Company provides locksmith key services. We pride ourselves in providing In NYC the best towing service, so you can rest easy knowing you are in good hands! So whatever your needs may be, give Hook & Go Towing a call. We have more than 16 years of experience and we have learned how to tow and service all kinds of situations for clients. We are experts with off-road Service, we can help in any Towing or Road side Assistance in NYC. We cater all types of situations. We have the power and technology to get you and your car to safe grounds. If your vehicle is in need of mechanical work we can help you out by trying to solve the problem right on the spot or take you to one of our affiliate repair shop in Brooklyn NY. 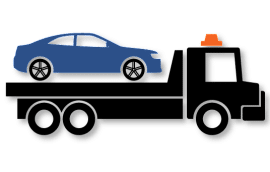 We pride ourselves in providing affordable, professional and reliable towing services to Brooklyn, NY and surrounding areas including Queens, Bronx, Staten Island & Manhattan, Give us a call so we can get a chance to meet and do business with our responsible towing company. We respond fast and work clean with all New York state licenses on board. Customer service is what our focus is, we want to make sure your at comfort during the towing process. We have the power to tow everything from motorcycles to cars, light duty trucks and heavy duty trucks, our quick response roadside and towing services are fast. At Hook and Go Towing we will provide services around the clock 24/7, so know that whenever you need our services there is somebody whom you can depend upon. A blocked driveway is an inconvenience, here we can help and guide you on how to get your driveway unblocked within minutes so you can go on with your day.